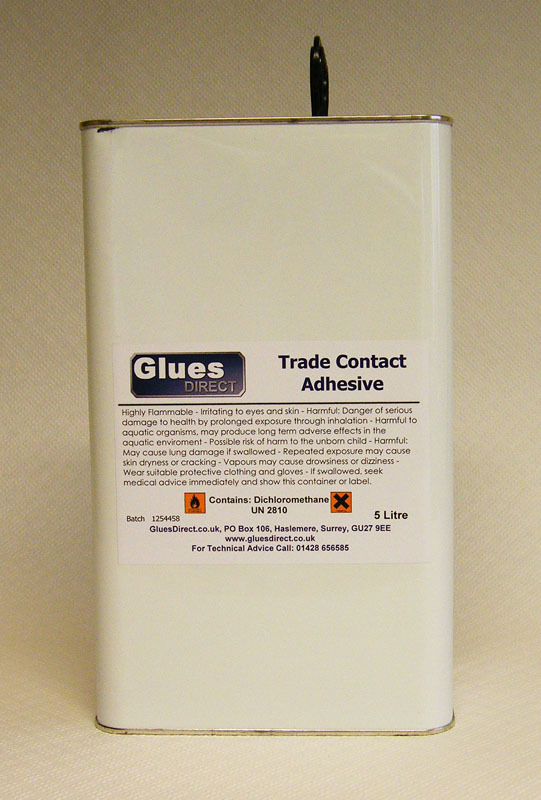 GluesDirect offer a range of Contact Adhesives. Contact Adhesives must be applied to both surfaces and allowed some time to dry, or if solvent based the solvent to evaporate before the two surfaces are pushed together. This time will depend on the specific adhesive, the amount applied and the ambient conditions of the time of the application. Once the surfaces are pushed together and compression applied, the bond forms very quickly but the total cure of the glue line can take several hours. Ensure that all surfaces that are to bonded are dry, clean and free of any contaminates. Apply an even amount of adhesive to both surfaces in accordance with the technical information supplied. Allow to 'dry' before bringing the surfaces together. Apply firm even pressure and expel and air pockets. Leave to cure before subjecting the item to any other process. Replace the lid and seal the container immediately after use. If you are using a solvent based product, use in a well ventilated area away from any naked flame or possible electrical arcing. Always follow information given on the technical data sheet and heed any warnings. 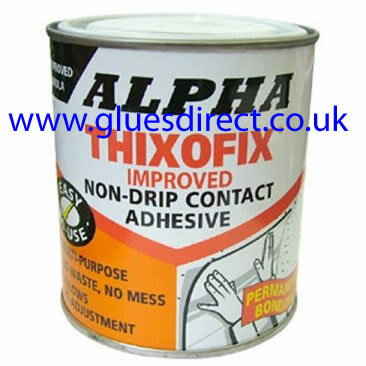 Alpha Thixofix Dunlop Thixofix Contact Adhesive Alpha Thixofix contact adhesive has been developed for the specific aim of making simple, the bonding of laminated plastics to wood and other substrates, whilst maintaining the well proven efficiency of ordinary contact adhesives. 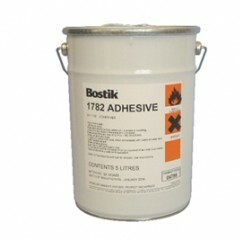 Bostik 1782 Clear Adhesive Bostik 1782 (Clear) Adhesive is a general purpose adhesive, the dried film of which is virtually colourless and non-staining, medium viscosity and provides a strong bond which has good chemical and temperature resistance and excellent ageing properties. 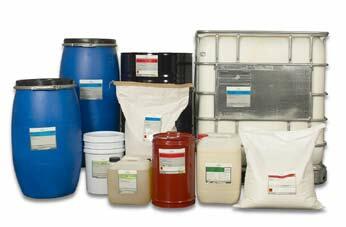 Bostik 1GA186 BOSTIK 1GA186 Adhesive is a solvent-borne adhesive based on polychloroprene rubber. 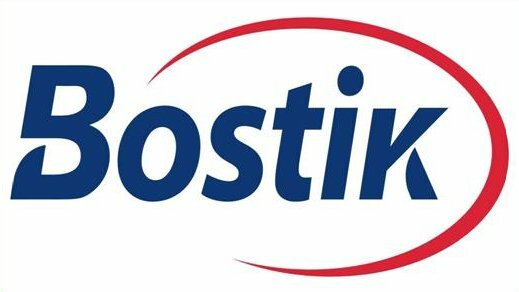 Bostik 1GA516 Bostik 1GA516 Adhesive is a versatile, solvent-borne formulation based on Polychloroprene rubber. Bostik 3851 Latex Adhesive Bostik 3851 Adhesive is used for bonding natural rubber and latex sheetint to each other and to porous surfaces such as leather, canvas etc. 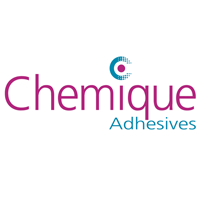 Chemique 1279 Blue Sprayable Contact Adhesive Chemique 1279 is an industrial adhesive designed to meet the demands of a wide variety of adhesives. This product has been specifically developed to offer customers a simple, versatile, sprayable adhesive without the incorporation of flammable solvents. 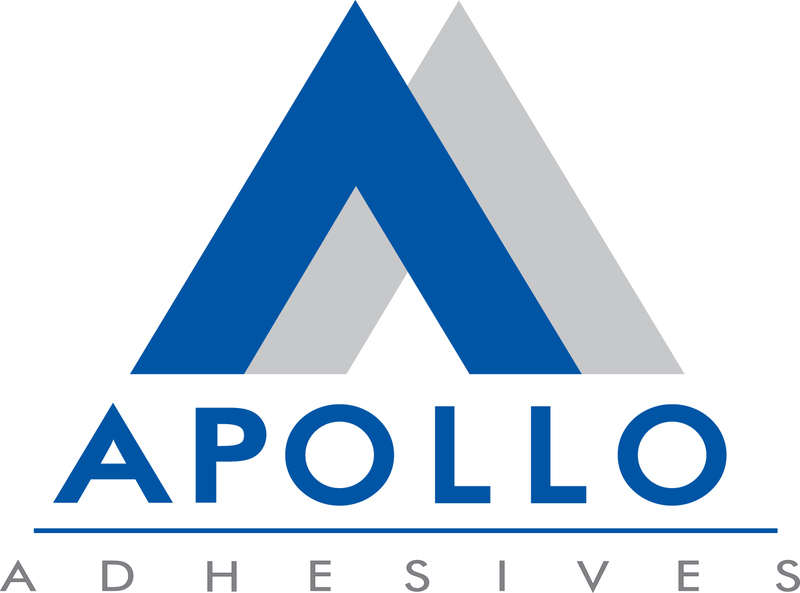 This range of industrial adhesives has been designed utilising professionals knowledge of application techniques offering customers the total package of adhesive technology. 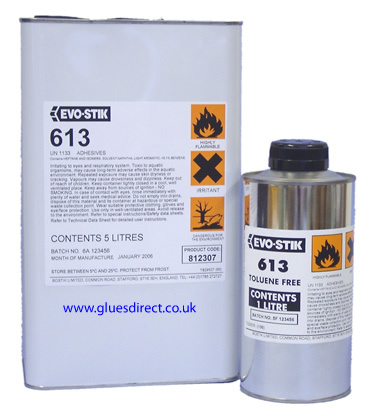 EVO-STIK 18149 EVO-STIK 18149 is a single component, non-flammable, sprayable foam bonding adhesive which has a long open time and excellent cohesive strength. 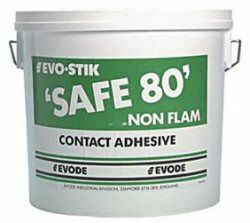 EVO-STIK 5696 Solvented Contact Adhesive EVO-STIK 5696 is a solvented contact adhesive which can be applied by hot or cold techniques, it has excellent hot spraying properties, is fast drying and gives a rapid build up of adhesion. 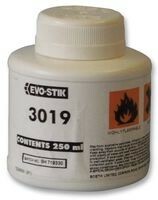 EVO-STIK 613 EVO-STIK 613 is a Toluene free solvented contact adhesive exhibiting high initial grab.